MEDICAL MARIJUANA PASSES IN FLORIDA , SO WHAT’S NEXT? 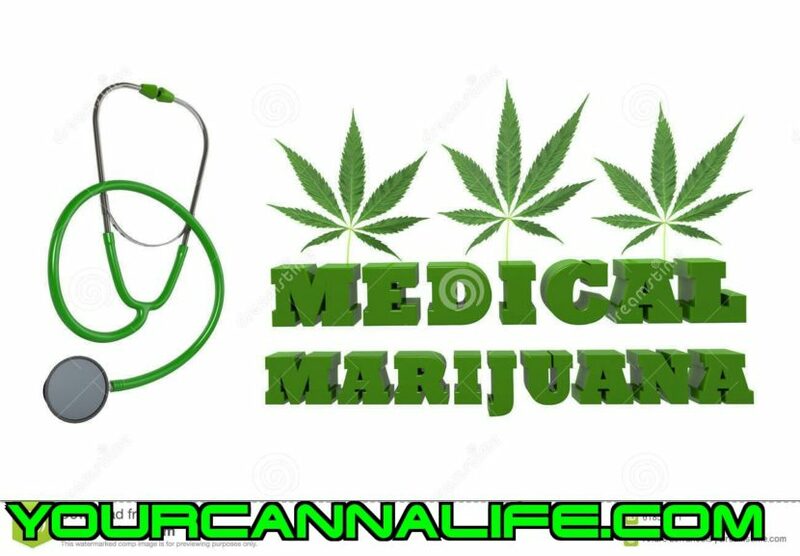 The medical field in Florida is excited & impatiently waiting for Amendment 2(Medical Marijuana) to become officially apart of the State of Florida’s constitution on January 3rd, 2017. Here is an interesting and detailed take of this new addition to the medical field in the sunshine state. When certified nurse’s assistant Sharyn Lynn Bradley moved to Melbourne from the San Francisco Bay area on Oct. 27, she had a worrisome concern: Would Amendment 2 pass on Election Day? “The only thing I was upset about was that marijuana is illegal. And I’ve been treating with marijuana since the ‘70s for depression, chronic fatigue syndrome, fibromyalgia,” said Bradley, who carries a California medical marijuana card and cooks herself cannabis-infused butter and olive oil. “I’ve got a wealth of problems myself — but I know that it helps without making me drugged. I don’t feel like I’m going to fall over. I don’t feel like I’m going to throw up on anybody,” Bradley said. “It takes away the pain. It takes away the anxiety. And it just makes a better me. And it’s always been that way,” she said. A dozen days after Bradley’s move, voters overwhelmingly approved Amendment 2, expanding Florida’s fledgling medical marijuana program. The 71 percent “yes” vote represented the largest winning margin of any marijuana reform initiative in the United States during the past 20 years, said Ben Pollara, campaign manager for United for Care, the political action committee that championed the cause. Medical marijuana is legal in Florida; so now what? However — though Amendment 2 passed by a landslide — Bradley had questions that remain unanswered. How can she obtain a Florida medical marijuana card? What doctor will she see? How much marijuana can she obtain per month? Such rules and regulations remain unwritten. The Florida Legislature and Florida Department of Health will tackle that task next year — and Jodi James, executive director of the Eau Gallie-based Florida Cannabis Action Network, remains skeptical. “The phone rang off the hook after Amendment 2. ‘Where can I get my card?’ ‘When can I get my card?’ And then, ‘I want to be in the pot business. Why are you not taking my call and telling me how to be in the pot business?’” James said. “Now we’re asking state regulators in Florida to regulate it while it is federally illegal. So instead of regulating it like a plant that is basically inert until you add heat, they’re regulating it like it’s plutonium,” she said. “In keeping with our current procedures, Health First will continue to recognize medical marijuana use as defined by the State of Florida and administered by Brevard County. Health First is committed to the policies and procedures outlined by Florida statutes and the Florida Agency for Healthcare Administration Drug Free Workplace standards,” the statement read. Health First officials declined to elaborate. Wuesthoff Health System and the Brevard County Medical Society declined comment for this story. Amendment 2 takes effect Jan. 3. The Florida Department of Health and the Legislature have six months from that date to draft rules governing medical marijuana patients, caregivers, ID cards, registration and businesses, Pollara said during a Facebook Live post-election video. The state must begin issuing ID cards and registrations to medical marijuana treatment centers within nine months of Jan. 3, he said. The new law contains major changes from Florida’s more-restrictive 2014 “Charlotte’s Web” law, which legalized the medical use of “noneuphoric” marijuana extracts by registered cancer patients and seizure sufferers. That law also legalized medical marijuana for some patients with terminal illnesses. • Who can recommend medical marijuana? A doctor simply needs to be a Florida licensed physician. “They need to diagnose you with a debilitating medical condition, and then put that diagnosis and recommendation in writing. There is no 90-day waiting period. There is no requirement to go through a continuing medical education course,” Pollara said. “We trust our doctors. And that’s what this law is about,” he said. • Who can qualify? Patients can be diagnosed with 10 debilitating medical conditions: cancer, epilepsy, glaucoma, HIV, AIDS, post-traumatic stress disorder, ALS, Crohn’s disease, Parkinson’s disease or multiple sclerosis. Moreover, doctors can also recommend medical marijuana for patients with similar debilitating medical conditions. • How much marijuana can a patient obtain per month? That will be determined by the Department of Health, Pollara said. • How can a patient find a doctor to get a marijuana recommendation? “I don’t know. I’m sure they will start cropping up here shortly,” he said. Justin Davis is a Gainesville doctor who says he was one of Florida’s first physicians to start recommending medical marijuana for patients. He manned a tent during Florida CAN’s Nov. 19 Canna-Wellness Challenge at Wickham Park — and Bradley asked him questions with her California ID in hand. As another issue, he said many physicians fear that they may be somehow targeted by law enforcement or the Florida Board of Medicine. “I feel like a lot of the policies that (lawmakers) make are based on prejudice against marijuana. There’s this conception that people that are using marijuana are all hippies, or young college students. Really, I would say that that’s been the opposite of my experience so far. It crosses all demographics, but the average age of people is probably in their 40s or 50s,” Davis said. Michelle North of Sharpes was stricken with lymphoma, then she lost most of both of her legs to deep vein thrombosis in April 2015. Now she uses a wheelchair, and she still suffers from occasional “gut-wrenching” phantom pains from her missing legs. “They had me on opioids when I first got out of the hospital. I hate to say it, but you can’t eat, you can’t do anything, because your body doesn’t work right. You’re all messed up in the head. I’m a very active person. I need to be able to go do stuff,” she said. North earned a bachelor’s degree in alternative medicine from Everglades University, and she hopes to get a Florida medical marijuana card. She said she cannot attend physical therapy sessions while using painkillers, and she has suffered from anxiety and stress since her lymphoma diagnosis. She remains encouraged by the passage of Amendment 2. “I know it has to start out small. But I think there’s going to find out that a lot more medicinal things are going to come out of this: for anxiety, for mental, for physical,” North said. Until the revised medical marijuana regulations are written, Davis said this is “a very confusing time for patients” — particularly those who think the Election Day victory ushered in California-style marijuana reforms. “It’s going to be our responsibility to inform a whole lot of people who voted for Amendment 2 that it’s not for them. They don’t qualify. The person they love doesn’t qualify. They can spend a whole lot of money, and maybe yes, maybe no,” Davis said.